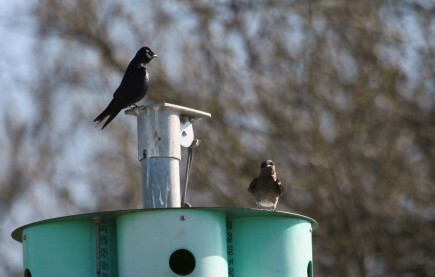 A red-tailed hawk very stubbornly sat herself on top of this purple martin house. I watched for a while as the purple martins dive-bombed and called her some pretty nasty names. Purple martins are amazing aerialists. The poor red-tailed hawk was no match for them despite the difference in size. They won. She moved on. 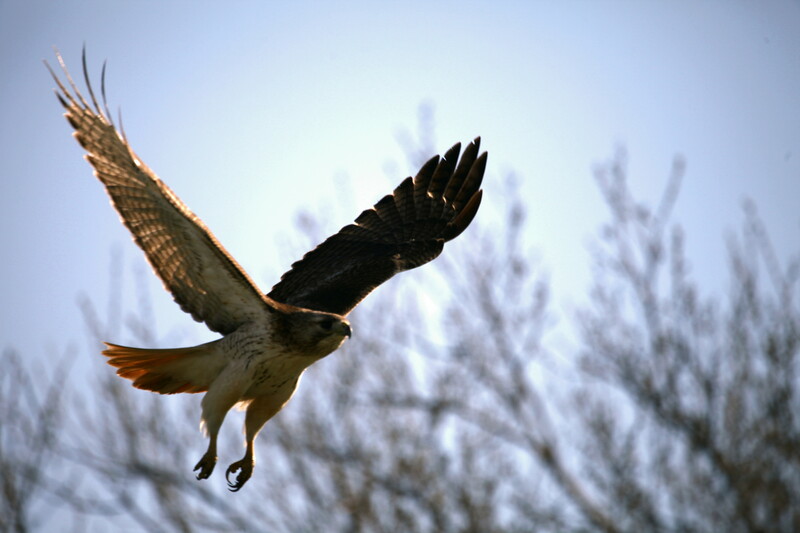 This entry was posted in hawks, Purple Martin, Uncategorized and tagged clinton lake, Clinton State Park, Purple Martin, red-tailed hawk on April 12, 2011 by admin.